UN General Assembly marks 25th anniversary of Rwanda Genocide - SABC News - Breaking news, special reports, world, business, sport coverage of all South African current events. Africa's news leader. 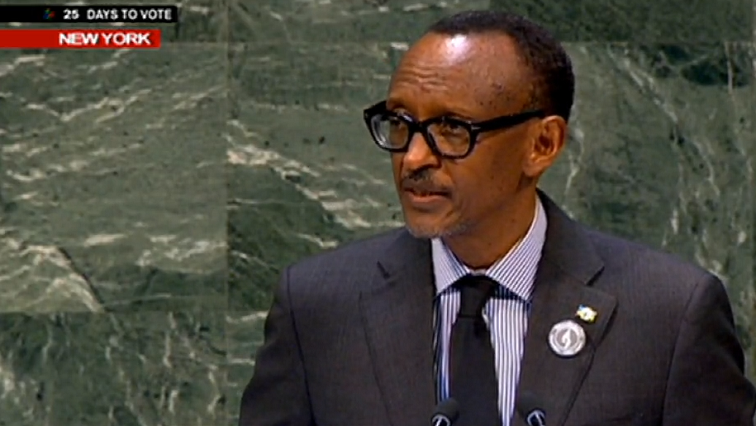 Rwandan President Paul Kagame at the United Nations General Assembly. Rwandan President Paul Kagame told the gathering that while his country was once betrayed by the international community, his people are determined to do their part, working with others to make things better going forward. UN Secretary General Antonio Guterres called it one of the darkest chapters in recent human history, where more than one million people – overwhelmingly Tutsi, but also moderate Hutu and others who opposed the genocide – were systematically killed in less than three months. Survivor Ester Mujawayo-Keiner survived the genocide in 1994, but lost many of her family members including her parents, her husband and many of her siblings. She is also the co-founder of the Association of Widows in the country. Speaking with French Translation, she addressed her remarks to President Kagame in the room. “I am here with two ambiguous sentiments, first of all its very difficult for me as a survivor of the genocide perpetrated against the Tutsi 25 years ago, to be here where one could have made a different decision if the Tutsis had been considered human beings with value. If the Geneva convention had been taken seriously before when the Tutsis were exterminated, my relatives would be here and I would not be here. And on the other hand I am happy to be here because I’m alive. We take it for granted but when you go through what we’ve gone through to be alive, it is not that obvious. “So if I have to thank someone, I would like to thank you Mr President, you saved my life along with my daughters, you saved the lives of many widows and orphans and there are survivors In Rwanda today, we thank you as well as the army that was under your orders at the time,” Mujawayo-Keiner says. This entry was posted on 12 Apr 2019,08:53PM at 8:53 PM and is filed under Africa, News, Homepage Latest Stories Slider. You can follow any responses to this entry through the RSS 2.0 feed. Both comments and pings are currently closed.